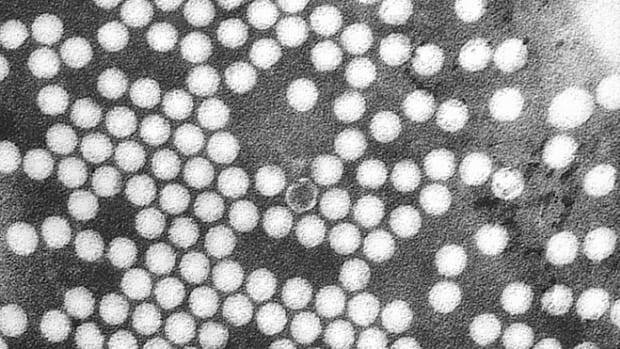 Scientists have determined that one man has been shedding poliovirus for 28 years. What does this mean for polio eradication efforts? When Javier Martin found a volunteer in the United Kingdom for research he was conducting on a rare immune disorder 20 years ago, the virologist wasn&apos;t seeking to study polio. But when the devastating virus turned up in a sample of the volunteer&apos;s stool, Martin saw an opportunity for observation. Since then, Martin and his colleagues at the United Kingdom&apos;s National Institute for Biological Standards and Control have been receiving annual stool samples from that same volunteer. In every one, they&apos;ve found traces of infectious, virulent polio, which theoretically means someone could get paralytic polio from the volunteer, although that&apos;s unlikely to happen, thanks to the U.K.&apos;s high vaccination rates and modern sewage system. Using genetic techniques, Martin and his team recently determined that their volunteer has been shedding poliovirus for 28 years. 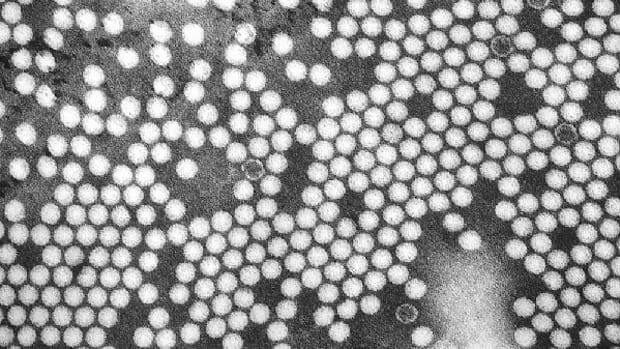 The long-time volunteer is an example of a phenomenon virologists have long documented: People with certain rare immune system disorders, who&apos;ve received an older, oral-drop form of the polio vaccine that&apos;s still in use in developing countries, can sometimes excrete active poliovirus in their stool for years. 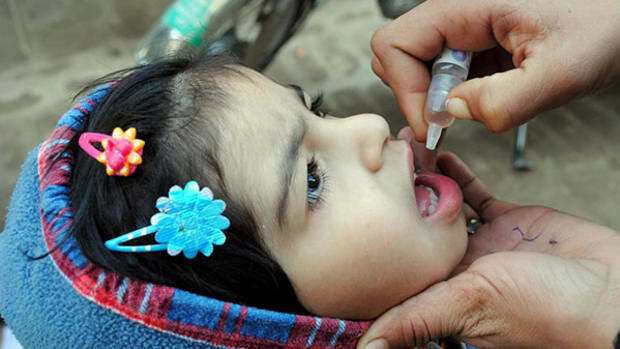 (Healthy oral polio vaccine recipients excrete the virus for just a few weeks.) This marks the first time, however, that scientists have found evidence of this occurring for so long a period, in part because other study volunteers haven&apos;t been so dedicated about sending in stool samples. "We never had such a comprehensive collection of viruses before," Martin says. This volunteer&apos;s case underscores the importance of planning the polio endgame intelligently. Luckily, although no one has an exact estimation of their risk potential to the public, folks like Martin&apos;s volunteer aren&apos;t thought to be a major danger. People who both have these rare immune disorders and are harboring polio infections are probably uncommon. In addition, they usually live in high-income countries—unfortunately, patients with these disorders living in developing countries often die young—where nearly everyone is vaccinated and isn&apos;t at risk for becoming paralyzed from a polio infection. But this volunteer&apos;s case underscores the importance of planning the polio endgame intelligently. To be sure, we&apos;re getting there. The illness is now endemic only to Afghanistan and Pakistan. But so long as countries continue to use the older, oral-drops form of the vaccine, unimmunized people are still at risk for contracting poliovirus shed by the vaccinated. The newer, injectable, inactivated polio vaccine developed countries use doesn&apos;t make people shed the potentially active virus. 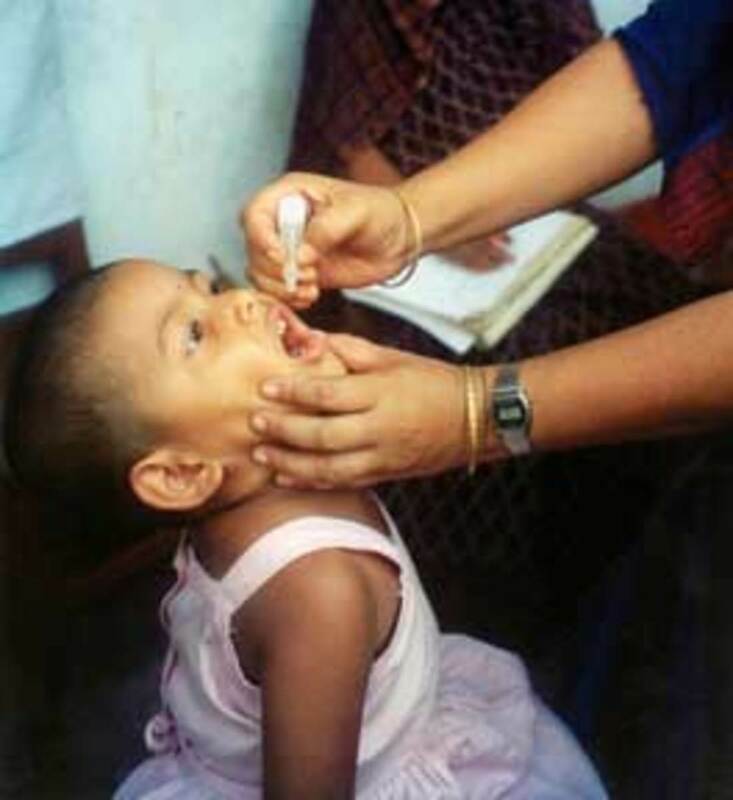 Polio shots are more expensive than polio drops, however, so developing countries don&apos;t often use them. The plan now is for countries to use a new oral polio vaccine next year that contains only the type 1 and type 3 virus. That will reduce the odds of a re-emergence of type 2 poliovirus, which, though eradicated, still pops up sometimes from immunizations. And once all virus types have been eradicated, everybody should use the polio shot. 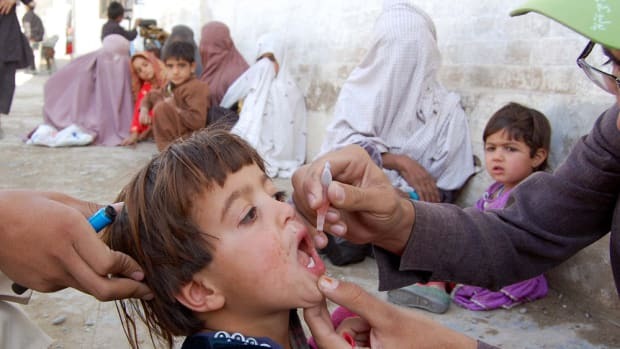 "The strategy is in place," says Oliver Rosenbauer, a spokesperson for the World Health Organization&apos;s Global Polio Eradication Initiative. Until polio is eradicated, and for sometime afterward, people around the world will still need to get polio vaccines. 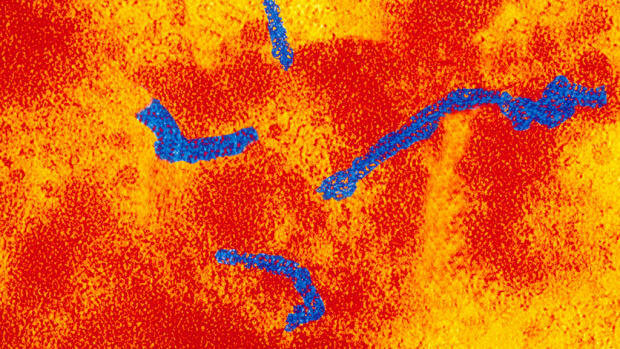 "One of the worst things that could happen is if people think, &apos;We don&apos;t have this virus anymore&apos; and they stop working as hard to get to every single child," says Yvonne Maldonado, an infectious-disease researcher at Stanford University. We&apos;ll need to continue guarding against polio sources both common and rare, like Martin&apos;s dedicated volunteer. Trapped by the Cold War and scarred after a failed revolution, Hungary fought one of its greatest battles against polio. As feared, the possibility of once rare or neglected diseases slopping out of the cauldron that is Syria is becoming more real. The Ebola epidemic will likely lead to outbreaks of other diseases, but countries could prevent that with vaccination campaigns. Can We Ever Really Eradicate a Disease? Experts are debating whether an Ebola vaccine can eradicate the disease in 2015. They’re getting way ahead of themselves. 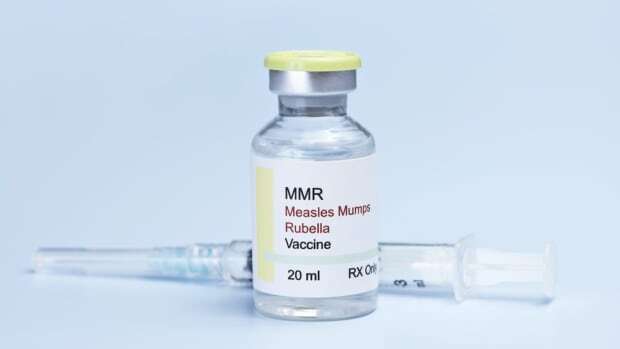 It’s resurgent measles and "Aleppo evil" ... and dengue fever in Houston.